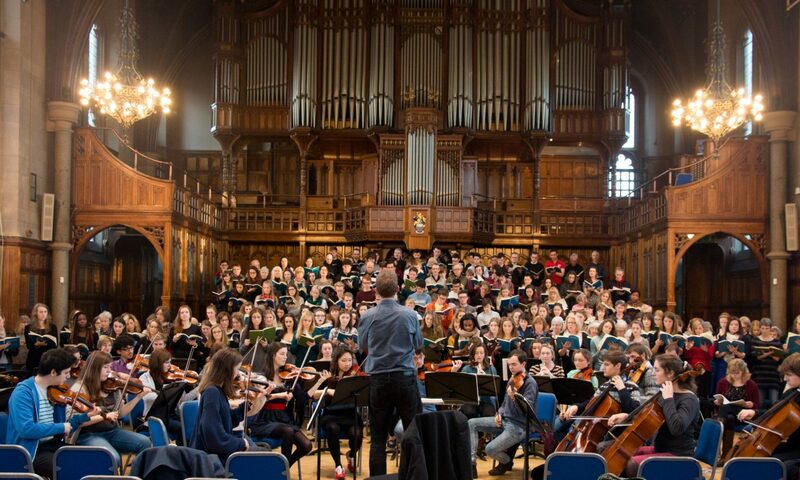 “I am proud to be leading a new Choral Programme at the University of Manchester. I admire the collegiate music-making atmosphere here and want all singers to benefit from, and contribute to, the Choral Programme. My vision is for singers at Manchester to benefit from performing a variety of repertoire in our two outstanding chamber choirs, and a strengthened University Chorus. Ad Solem has now been brought into the same overall structure as Chorus and Cosmo, making for a greater degree of clarity for singers, conductors and managers. Every Music student who successfully auditions at the start of the academic year for Cosmo (45 voices) and Ad Solem (20 voices) will sing in either ensemble as well as Chorus (200+ voices). We want to support students with their busy singing schedules and to foster their commitment to Chorus. Ad Solem and Cosmo will continue to consist of a core of singers, but where ability, commitment, repertoire and concerts allow we will encourage some Cosmo singers to gain experience from singing in Ad Solem and Ad Solem singers with Cosmo in larger chamber repertoire. From September, Robin Wallington, Matthew Quinn, Alastair McNamara and Anna Beresford will be our student conductors and will share with me the responsibility for conducting all three choirs. I will mentor them in rehearsals, but they will enjoy a large degree of autonomy. We also welcome Zahid Siddiqui and Michael Humphries as our choir managers; they will join the Chorus Committee. This coming season Chorus will perform Britten’s St. Nicolas and Elgar’s Dream of Gerontius. Chorus’s great strength lies in its fusion of students and members of the Greater Manchester community. We are passionate about our singing and welcome new and interested members.